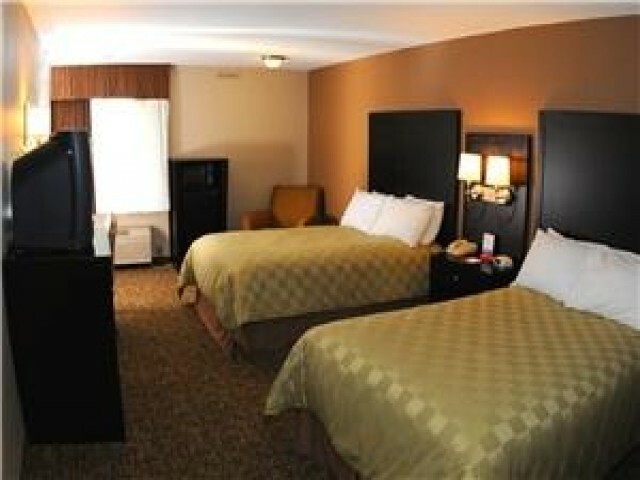 Our two queen beds room at the Ramada by Wyndham Fresno North hotel offers Air conditioning, Iron, Desk, Ironing facilities, Heating, Hairdryer, Free toiletries, Bathroom, Bathtub or shower, Telephone, Radio, Satellite channels, Tea/Coffee maker, Alarm clock. Our Fresno hotel, near Fresno State University, also provides free WiFi around the entire hotel, free parking for all guests in our parking lot, and has an onsite restaurant with bar. This website is maintained by Ramada Fresno North, a licensed user of certain proprietary trademarks and service marks of Ramada Worldwide, Inc.